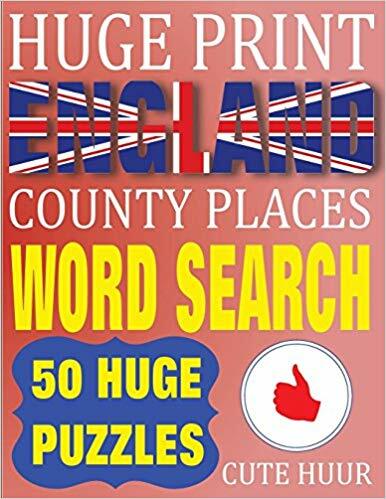 All 48 English Counties are featured in addition to Scotland and Wales. 24 places per county are hidden in each puzzle. 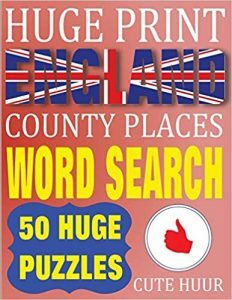 24 towns, cities and villages from every English County is included in the book. You could learn something new about the choices of place names that certain states have. You will spend hours of brain challenging activity finding each city name. Bonus tip – check off each city that you have ever visited or if you know someone from that place. 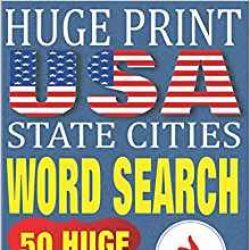 Previous PostPrevious Huge Print USA State Cities Word Search is now released on Amazon.